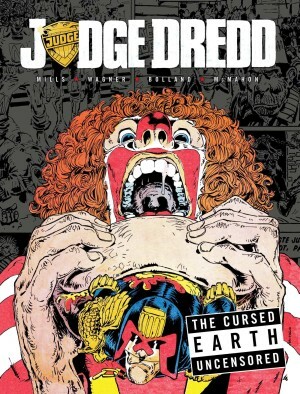 The Cursed Earth instituted a Judge Dredd tradition, that of the mega-epic stretching over a dozen or more chapters, and was a big departure for British comics in the late 1970s. 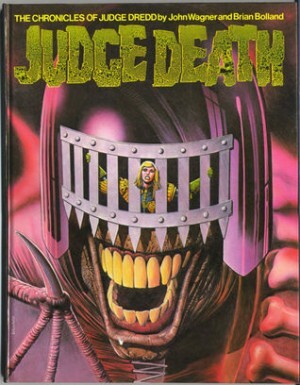 Unlike most of the preceding Dredd stories it was primarily the work of Pat Mills, who’d write very little Dredd thereafter. 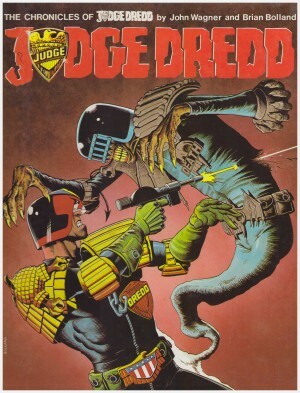 The area surrounding Mega-City One was known to be a radioactive wasteland, but apart from a few mutants illegally entering the city, it had previously only been referenced. 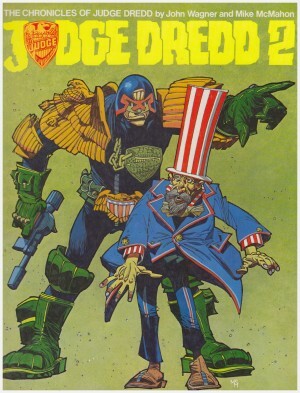 Not previously referenced was Mega-City Two, a conurbation equal in size to Dredd’s hometown, but spread across the West Coast of what was once North America. 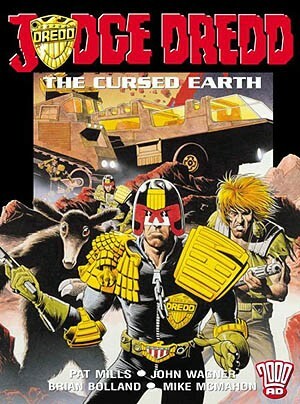 The Cursed Earth required Dredd to cross from Mega-City to Mega-City in order to deliver a vaccine to the zombiefied inhabitants. For dramatic purposes Dredd required companions. 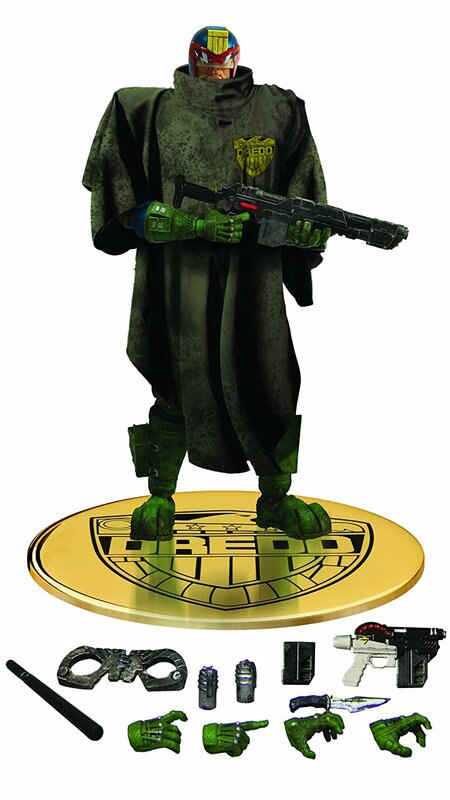 The accompanying judges might as well have been Judge Cannon and Judge Fodder for all the part they play, although it’s easy to see the dramatic limitations of Dredd accompanied by mere analogues. For all that, the passage of years have diminished the whimsical appeal of Dredd’s primary ally Spikes Harvey Rotten, a criminal picked by Dredd to join the mission due to his prodigious biking skills. The epic begins slowly, but once Mills turns his attention away from assorted bands of mutants he delivers many memorable episodes. Mills always loves a dinosaur, and his colony of cloned giant lizards pre-dates Jurassic Park by a decade. He delivers some back story revealing how the United States became a combination of Mega-Cities and wasteland, introduces robot vampires, and over the middle parts of the story delivers the heart-breaking tale of rock-eating alien Tweak. Mills would rapidly revisit and refine elements of the penultimate chapters for ABC Warriors. John Wagner’s only surviving contribution, under his T.B. Grover alias, is a manic Las Vegas satire. Unusually for such a lengthy tale the chapters are drawn entirely by Mike McMahon and Brian Bolland, their contrasting styles both effective, but McMahon’s isolated villagers are far more believable. 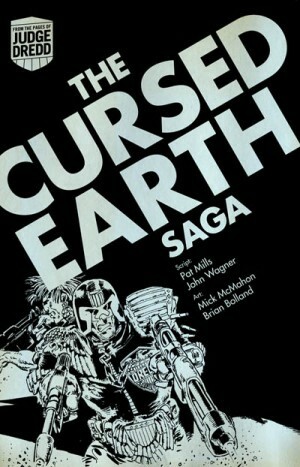 The Cursed Earth was for decades as famous for the missing content as the chapters actually reprinted. 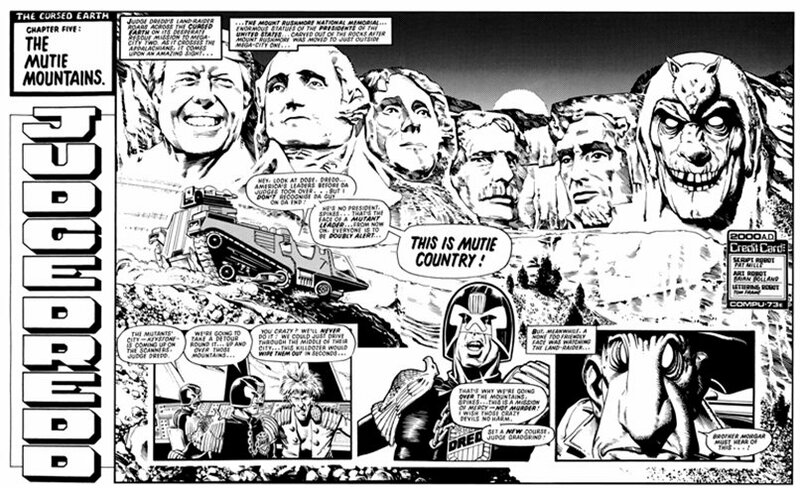 Sequences satirising brand obsession represented by allegiance to burger companies drawn by McMahon, and featuring advertising trademarks drawn by Bolland were subject to an agreement that they never be reprinted following legal letters after their original publication. 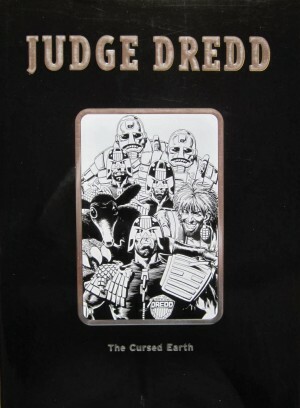 This didn’t anticipate internet technology, and they are easily located online these days, which presumably led to the relenting that those chapters are in print for the first time since 1979 in the new Uncensored edition of The Cursed Earth. 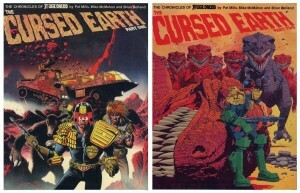 There have been numerous reprintings of The Cursed Earth. 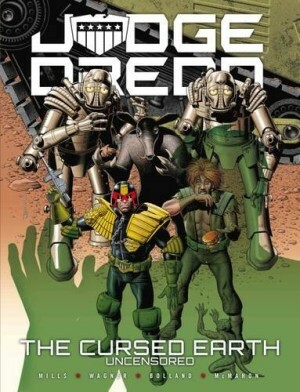 The first effort from Titan Books in 1982 splits the series into two volumes, the first available as an attractive European style hardcover album. 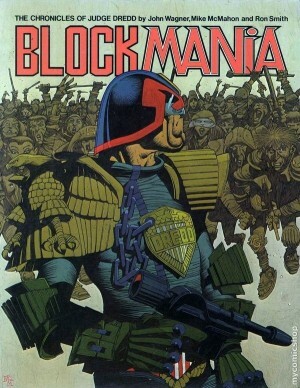 Their later reprints gather the entire story, but the first lacks the new colour cover by McMahon that graced their previous volume, and even Bolland’s colour cover is dropped for the current Rebellion reprint. 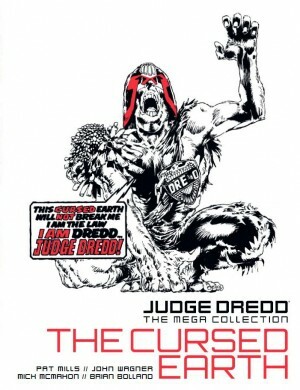 The Cursed Earth is also now available as part of Hachette’s Judge Dredd Mega Collection as volume eight.